The Devil imitates everything that God does, trying to deceive mankind. A classic example is the Antichrist, who will come in an attempt to trick the world into receiving him as the true Messiah. Related Video: What If Cruz Becomes President? Related Video: Did Israel’s Mossad Do 9/11? Most Bible students have concluded that the Catholic church is The Great Whore, but Mystery Babylon includes all of today’s false religions that are a part of the New World Order. The occult All Seeing Eye, Obelisk (such as the Washington Monument) and The Great Pyramid are all a part of the Ancient Mystery Religion of Egypt, and continued from Babylon until present-day, which has been at work by Satan in the world since the tower and city of Babel in Genesis 11:1-9, and since the serpent offered Eve knowledge of good and evil in exchange for eating the forbidden fruit (Genesis 3:5-7). To the point, the Ancient Mystery Religion, which is the core of New Age and Theosophy, is Lucifer worship! When Adam and Eve ate the forbidden fruit (thus disobeying God), they became “as gods” in Genesis 3:22 (hence the “322” used by the Skull & Bones secret society. Lucifer offers men “godhood” by ascending through multiple levels of occult enlightenment (e.g., Kaballah has 125 levels, Freemasonry has 33 levels, et cetera). In the occult (which means hidden) there is always something you don’t know, which is intended to keep men “Ever learning, and never able to come to the knowledge of the truth” (2nd Timothy 3:7). Kaballah is a substitute for the Gospel. Freemasonry is a substitute for the church. Whereas it is the New Testament Church which is God’s vehicle for evangelizing the world; Freemasonry is Satan’s vehicle to bring to fruition a New World Order and prepare the masses to embrace the coming man of sin, the Antichrist (the Beast). In order to prepare people to receive the “MAN OF SIN” (2nd Thessalonians 2:3), social groups must be desensitized to the awfulness of sin; hence, the reason for the moral meltdown of America, Europe and the world. Satan is the Boss of Hollywood, the cesspool of iniquity of the world! Hollywood’s Satanic Antichrist Preparation. Whereas the Bible prophesies that Jesus Christ Himself will return one day to sit upon the literal throne of David and reign over the earth triumphant from Jerusalem; the Antichrist is Satan’s gimmick (substitute) for Christ, professing himself that he is the Messiah, God (2nd Thessalonians 2:4). Since the Antichrist is a counterfeit, naturally he is going to need a counterfeit Israel. And if Satan needs a false Israel for his false Messiah, then he also needs false Jews. Jesus warned in Revelation 2:9 about false Jews of the synagogue of Satan who claim to be true Jews. For nearly everything in God’s prophetic plan, the Devil has a counterfeit to deceive the human race. We even see the trio of the False Prophet, the Beast and the Dragon—imitating God the Father, God the Son and God the Holy Spirit. And yes, Satan has many counterfeit Bibles too (like the perverted New International Version [NIV]), imitating the genuine King James Bible. It is very sad, even depressing, when I stop to realize that so many Independent Baptist churches these days are supporting a counterfeit Israel, reading from a counterfeit Bible, and in many cases even teaching a counterfeit plan of salvation based on a counterfeit understanding of repentance (aka, Lordship Salvation). Satan is a master counterfeiter! If you understand that the coming Antichrist is Satan’s imitation of Christ, then it should also become obvious to you that Satan has a false Israel too. Whereas Biblical Christians are looking for the return of Jesus Christ to establish His earthly kingdom; heathen Zionists are looking for their false Messiah, the Antichrist, to reign over the world. The New World Order will be the Antichrist’s counterfeit of Christ’s true coming kingdom during the 1,000 year millennium. The Antichrist will claim to be the Messiah, even proclaiming to be God from the temple in Jerusalem, but he will be an imposter. The unsaved world will eagerly follow the Antichrist when he comes, but many will refuse. At the halfway point through the Tribulation, the Beast (Antichrist) will demand worship of his image from everyone on earth or they will be executed! This event is called The Abomination Of Desolation! So we see that there will be a false Christ (Messiah) and a false Israel. The true Israel will be regathered to the Promised Land only when Jesus returns to set up His kingdom, and not before. The attempt to restore Israel since 1948 is a Zionist movement by Marxist/Communist false Jews who are led by the international banking cabal. The Illuminati by war and bloodshed put Israel back onto the map in 1948 as a vehicle by which to control the kings of the world. How does Israel rule over the kings of the earth? It’s the international banking cabal. Their official headquarters is The Council On Foreign Relations (CFR). The CFR created the United Nations (UN)! Starting to get the picture? The ACCURATE way to look at Israel, the Jews and the Antichrist is to see Present-Day Israel, the Antichrist and the Antichrist’s rule over the world as Satan’s counterfeit of true Israel, Jesus Christ and Christ’s Millennial Kingdom. Is it so hard to believe that present-day Israel is a satanic decoy for true Israel? True Israel will accept her true Messiah, Jesus. Present-day Judaism which controls Israel rejects Jesus as the Messiah. They are wholeheartedly looking for the false Messiah of the Antichrist, which is why he will stand in the Jewish temple one day and claim to be God (Daniel 9:27; Matthew 24:14; 2nd Thessalonians 2:4; Revelation 13:15). The nation of Israel was put back on the map in 1948 by the Rothschild’s led banking cabal. William Guy Carr in his timeless book, PAWNS IN THE GAME, documents the history of the international banking cartel and how they’ve started and financed BOTH sides of every major war in America since the Revolutionary War of 1776 (full book, .PDF file). Truth is stranger than fiction! Also, read THE NEW WORLD ORDER by S.Z. Batten written in 1919. Batten appeals to the church to wake up to the reality that the New World Order will use war to accomplish their goals. The book was written after World War I, but before World War II. Batten states on page 148, “Christianity has suffered much from the wrong thinking of bad men, but even more from the small thinking of good men.” What a true statement! If you don’t get anything else from this article, recognize that the nation of Israel today is a counterfeit. God has not gathered His people yet. Present-day Israel is controlled by Marxists and Communists, haters of Christ and the Bible. The Bible teaches that 144,000 Jews of the tribes of Israel (Revelation 7:4) will be saved at the beginning of the 7-year Tribulation. During the Tribulation God restores His covenant with Old Testament Israel. The Times Of The Gentiles will end at the Rapture. Then Israel will become the main focus once again. Here is an accurate, Biblical and excellent statement from Pastor J. Vernon McGee (1904-1988) concerning why present-day Israel is NOT the fulfillment of Bible prophecy . . .
“Israel is just like any other nation. Some think they’re a little brutal, but my friend, they’re on the defense over there, you can be sure of that. And they have to exercise a strong defense system. They’re not backing that land in fulfillment of prophecy. They have returned to the land, but they have not yet returned to the Lord. When they return to the Lord there will be blessing. They have not yet done that! SOURCE: Pastor J. Vernon McGee; THRU-THE-BIBLE; Hosea 2:19-23 and Hosea 3:4. In his “THRU-THE-BIBLE” commentary for Hosea 3:5, Dr. McGee stresses the truth that there are more Arab Christians in Israel today than there are Jewish Christians. Upon a return trip to visit Israel, Pastor McGee makes the startling comment, “Over there there’s no turning to God, at all!” While visiting he saw a big motto in Israel which read: “SCIENCE WILL BRING PEACE TO THIS LAND.” Israel is a Godless nation today! Dr. McGee cites a credible source as saying that there are less than 300 Israelites that are real believers in Israel today! The Russian Catholic Church owns much land in Israel today, as do Greek Orthodox and Muslims. Hosea 3:5 evidences the fact that Israel’s present return to the land is not the fulfillment of Biblical prophecy today. Albeit, God’s people (the elect, born again believers) will be gathered when the Lord returns (Jews and Gentiles included, Galatians 3:29). Again, only born-again Christians will be gathered to the Promised Land (Galatians 3:26-29). Kindly, no Christ-rejecting Jew will ever escape the fires of Hell, and no Christ-receiving Gentile will ever be denied residence in the New Jerusalem. Israel has not been restored yet. Hosea tells us that in the End Times that Israel will SEEK AND FEAR THE LORD (this hasn’t happened yet). 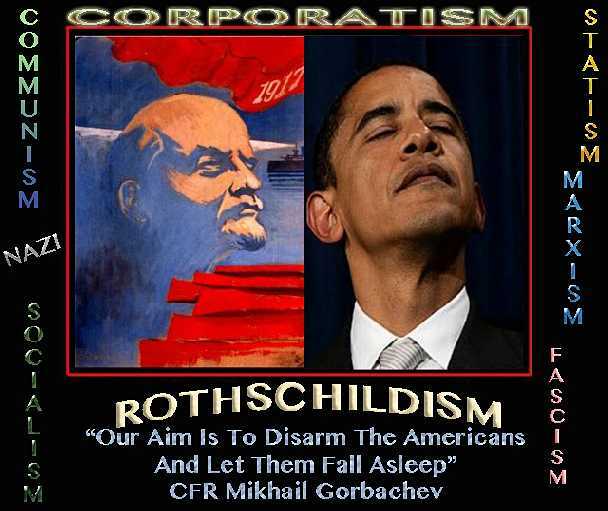 . .
Present-day fake Israel, started and controlled by the Illuminati (Marxists and Communists). The Jews have been scattered across the world in exile (Luke 21:24), and won’t be regathered until Christ returns at the Second Coming. There is nothing in the Holy Bible about regathering unsaved, Christ-rejecting, Jews to Israel. Zionism is just as sinful as when Abraham and Sarah conspired to impregnate Hagar and give birth to Ishmael, trying to force the hand of God to bless him. Whether a Communist like Barack Obama or a Baptist like Mike Huckabee, they’re all 100% pro-Zionist! They’re groomed, financed and controlled by the Zionists. Please understand that being Anti-Zionism is NOT Anti-Semitism. Zionism is a global conspiracy to achieve World Government, masterminded by the international banking cartel and orchestrated by Freemasons. Why do you think the Illuminati went to war and overthrew Iraq and Afghanistan? Syria, Jordan and Iran are next. Isis is a fabricated boogieman, just like Alqaeda (Al-CIA-da) was. You cannot trust anything reported by the Zionist-controlled mainstream newsmedia. Recent news reports have been demonizing alleged Isis cells in Syria for attacking Jordan. 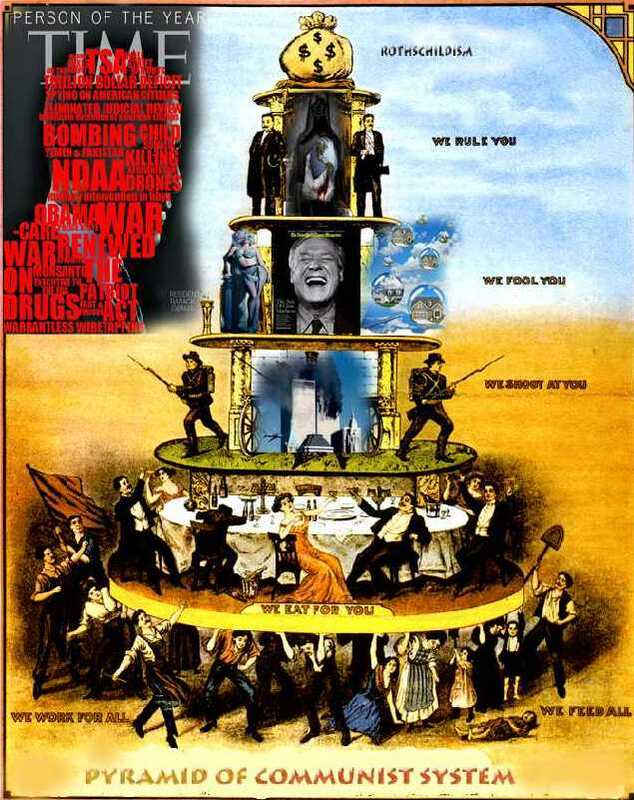 The Illuminati want to overthrow Syria, just like Iraq and Afghanistan! Those countries are now called “Democratic.” What a joke! The Illuminati pick the candidates and allow the people to vote, to maintain the ILLUSION of freedom. Those countries are controlled now by the Illuminati, just like all of America! Freemasons worship The Great Architect of the New World Order, Lucifer (Satan). America has been deliberately subverted. Everything from public schools to the central bank are a total fulfillment of Karl Marx’s Communist Manifesto (blueprint)? Who do you think put Mr. Obama in office? Those Woefully Ignorant Christians Who Support Present-Day Israel Are Supporting The Illuminati And The New World Order. Literally, believers and Baptist churches who support preset-day Israel are helping to prepare the stage for the coming false messiah, the man of sin, the Beast, the ANTI-CHRIST!!! If you support Israel, then you are supporting the Rothschild’s led banking cabal who own and control the State of Israel. It’s high-time for professed believers to stop attributing men’s crimes to our holy God. Our nation beared false witness against Iraq, falsely (now openly admitted by Rachel Maddow from MSNBC and others in the mainstream newsmedia) accusing them of having Weapons of Mass Destruction (WMD’s). We coveted Iraq’s trillions-of-dollars in natural resource, oil. We stole what belonged to our neighbours in Iraq. The Illuminati did all these horrific evils through OUR White House, in OUR name, with OUR money, with OUR youth in the military, so it is OUR business!!! We murdered 1,455,590 innocent Iraqi’s, to allegedly get one dictator, Saddam Hussein. Americans broke most of the Ten Commandments by attacking Iraq!!! And yet naive and foolish churches support these evils! So what ought the Christian’s proper attitude be toward Israel today? Good question. We ought to view them as sinners in need of the Gospel, loving Jews and Gentiles unconditionally with God’s love. They may not listen, but our job is to preach the Gospel and pray for their salvation, nothing more. Who knows if that seed that you plant may one day lead to a new birth? Only God can save a soul (1st Corinthians 3:8). We ought not support Godless Israel today, anymore than we would support Godless Communism. Christians need to forget about Israel, and the sin of treating Jews as being more special than Gentiles; and instead we need to focus on getting as many people saved as possible by obeying The Great Commission to GO, PREACH THE GOSPEL, WATER BAPTIZE THEM AS A PUBLIC PROFESSION OF THEIR FAITH, and INDOCTRINATE THEM WITH THE TEACHINGS OF THE WORD OF GOD (Matthew 28:19-20). Supporting Christless Israel is wicked apostasy in the churches. The truth is the greatest threat to the Devil’s New World Order! I wrote this article to teach the reader that present-day Israel is of the Devil. That will probably offend you greatly if you’ve been indoctrinated with Zionism by the John Hagee, James Modlish, Pat Robertson crowd (and thousands more). Even most Baptist churches have fallen for the big lie that believers are Biblically commanded to support the present-day State of Israel at all cost. The true nation of Israel will be restored when the Lord returns, when there is a great earthquake. Jesus will not stand on the earth when He comes in the Rapture, but He WILL stand on the earth when He comes in the second phase of His return (that is, the Second Coming 7-years after the Rapture). Zechariah 14:4 definitely describes the Lord Jesus standing on the Mount of Olives. Blessing Israel Has NOT Helped The United States. First, America supports Israel more than any nation, giving several billions of dollars a year in foreign aid to Israel; yet our nation’s economy is in the toilet and not coming back. Anyone who says that the economy is recovering and things will improve is a BOLD FACED LIAR!!! The government tampers with the numbers in their reports to deceive the public. Things are much worse than they seem. I thought blessing Israel was supposed to bring blessing upon America? Jack Chick attributed the increase in tornado activity in 2012 to the U.S. not helping Israel enough. Oh boy, shut up! America is Israel’s number one ally!!! Please listen to “Zionist Puppets For President!” (MP3 sermon by Pastor Texe Marrs – January 2015). So why is our nation falling apart? I’ll tell you why, because God is not blessing America for helping the present-day Communist State of Israel. In fact, it is the same sinister international banking cabal who control Israel today who are fornicating with the kings of the earth, exploiting the U.S. to do their dirty work. OUR children fight their wars. OUR homes have been foreclosed by their banks. OUR White House has been hi-jacked by the banksters. OUR money is totally controlled by them. President Obama has already hired 38 former Goldman Sachs employees right off Wall Street to work in the U.S. government. Wall Street is Washington and Washington is Wall Street! Freemasonry ties into all this too, which is a Jewish religion rooted in Kabbalah, but that’s a separate study. Secret societies are the common denominator in all of this. Only works of darkness must be kept secret, because in the presence of the light darkness loses its power! Present-day Israel Is A Wicked, Marxist, Communist, Nation. Less than 2.5% of the population of Israel profess to be Christian. Attempting to convert a Jew to Christianity is punishable by up to 5-years in prison in Israel. Jewish rabbis and devout Judaizers in Israel literally spit on tourists. Of the 198,000 remaining Holocaust survivors living in Israel today, many are struggling in hunger and lack of provisions in one of the wealthiest nations on earth. Israel’s citizens are struggling economically, listed 34th amongst the list of developed nations.